Tired of watching in frustration as its popular Android mobile operating system failed to make much of a dent in the tablet market, Google is stepping in next week with an Android tablet it helped design. It’s the Nexus 7, a $199 model with a 7-inch screen. And in my view, it’s a winner. After testing the Nexus 7 for a couple of weeks, I consider it the best Android tablet I’ve used. It’s a serious alternative to both Apple’s larger $499 iPad and to a more direct rival: Amazon’s $199, Android-based, 7-inch Kindle Fire. I prefer the Nexus 7 to 7-inch models from Google partners like Samsung, whose comparable product costs $250. The new Google tablet doesn’t have all the features of the iPad. For instance, it lacks a cellular connectivity option, a rear camera and the iPad’s dazzling screen resolution. Its base model has half the memory of the iPad’s. It offers fewer content choices — music, movies, TV shows — than either the Apple or Amazon devices do. It also has very few apps designed for a tablet, as opposed to a phone, while the iPad boasts over 200,000 apps for tablet use. And its screen area is less than half the size of the iPad’s. The Google Nexus 7’s My Library home screen displays a user’s recent media content. But Google’s tablet is a better choice than the iPad for people on a budget; for those who prefer a lighter, more compact tablet that’s easier to carry and operate with one hand; and for those who prefer Google’s ecosystem of apps, services and content to Apple’s. 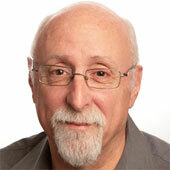 The Nexus 7 even includes an artificial-intelligence feature, following in the path of Apple’s much-touted Siri. It answers some spoken questions, like Siri does. But it also presents a screen, called Google Now, with information it considers relevant to you at your present location and time — like the weather, traffic conditions between home and work, your next calendar appointment, and information for flights you’ve been researching. The Nexus 7 also carries an unusual distinction: It’s the first tablet I’ve tested that beats the iPad in my standard battery test. It lasted over 10 hours, about 45 minutes more than the latest iPad. 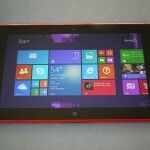 Every tablet must be compared with the iPad, which has become synonymous with the category. And Apple is rumored to be planning a smaller, less costly iPad, which could give the Nexus 7 a run for its money. But for now at least, the Nexus 7 seems to be aimed more at competing with the Kindle Fire. Like the Fire, it’s being positioned mainly as a content-consumption device. Unlike Apple, Google is playing down the productivity and creativity aspects of the Nexus 7 and treating it, as Amazon does, mostly as an inexpensive hardware portal to the company’s cloud-based offerings of music, video, books and magazines. The Google Now screen shows data relevant to you and your location — like weather, traffic and a calendar appointment. The size and price advantages of the Nexus 7 are similar to those of the Kindle Fire, but the quality of the hardware and software in the new Google slate blows away those of the Fire. The latter is a chunky device that lacks a camera and microphone, and has a heavily modified version of Android, which can be sluggish. 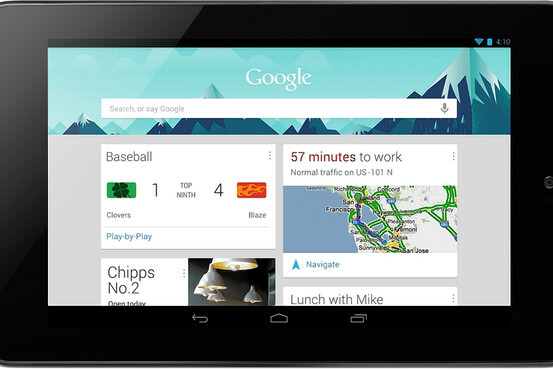 The Nexus 7 is a sleek, handsome tablet with a smooth, quick, new version of Android. In my test, the battery life of the Nexus 7 exceeded the Fire’s by a huge margin: Nearly five hours. Also, even though Google isn’t emphasizing it, the Nexus 7, like other Android devices, can run 600,000 apps, almost as many as Apple offers, and far ahead of the 25,000 available for the Fire. In my experience, too many of these Android apps — which Google doesn’t vet in advance — are flaky and inferior to those in the curated collections of Apple and Amazon. But even if you only count the good ones, they far outstrip what the Fire offers, and include many apps that enable the Nexus 7 to also be a productivity and creation device. The Nexus 7, which was built for Google by Asus, is a special type of Google product, all labeled Nexus, which the company sees as a best-of-breed example for Android hardware makers. There have been Nexus phones, but this is the first Nexus tablet. It’s is available for preorder now at Google’s online store, play.google.com, and the company expects to start delivering it next week. Also next week, it will become available at a few physical retailers. There’s no cellular fee needed to use it, as it’s a Wi-Fi-only device. 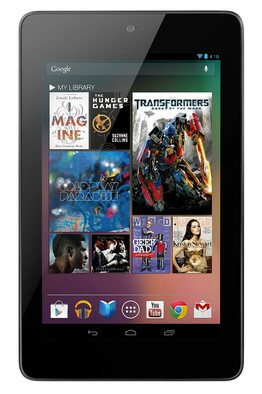 Along with the new tablet, Google is introducing a new version of Android, called Jelly Bean. This isn’t a revolutionary update, but it refines and polishes the operating system by making it much smoother and faster to use (Google calls this “butteriness”) and adding the Google Now feature. Jelly Bean is also now available for the Galaxy Nexus phone by Samsung, and will slowly roll out to some other Android devices. 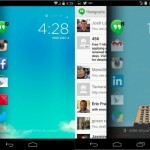 Jelly Bean finally puts Android on a par with Apple’s iOS operating system, which drives the iPhone and iPad, in two key respects: Responsiveness (when the hardware is potent enough) and elimination of the constant need to resort to menus, which plagued most prior versions of Android. In my battery test, where I keep the screen at 75% brightness, leave the Internet connection on and email collecting in the background and play videos back to back, the Nexus 7 lasted 10 hours and 44 minutes. The current iPad logged nine hours and 58 minutes on the same test (albeit while driving a much more power-hungry screen) and the Fire lasted five hours and 47 minutes. 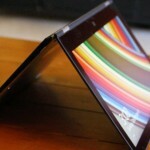 So what are the drawbacks of the Nexus 7? The main one is that some key content is missing. Shows from many popular TV networks aren’t offered, including hits like “Mad Men” and “Modern Family.” And magazines from Time Inc., like Time and Sports Illustrated, are absent. Google says it’s working on adding more content. Also, many of Google’s books are out-of-print volumes from before 1923. I found some magazine pages were a bit fuzzy, and the books app lacks a basic feature: The ability to select a word to search for it in the book, get a definition or add a highlight or note. Google says it plans to add this feature. And Google Now requires you to compromise some privacy, by allowing the service to track your location and search history. 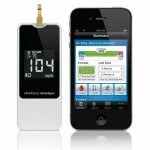 It tries to figure out your home address by detecting where the device is during most nights. Overall, however, Google and Asus have produced a very good tablet in the Nexus 7, one I can recommend.